When you decide to get married, you must know that it the main step to the future life with your own family and you need to start it very happy and very beautiful. And we know well enough that bridal hairstyle are not the last thing to make you happy on that special day by making you look nice and feel like a princess. When it comes to hair length many will say to grow out hair than get married, but this can't be true cause modern hair trends 2015 allow having cute festive and popular hairstyles not only on long hair but on medium hair length and even short hair as well. 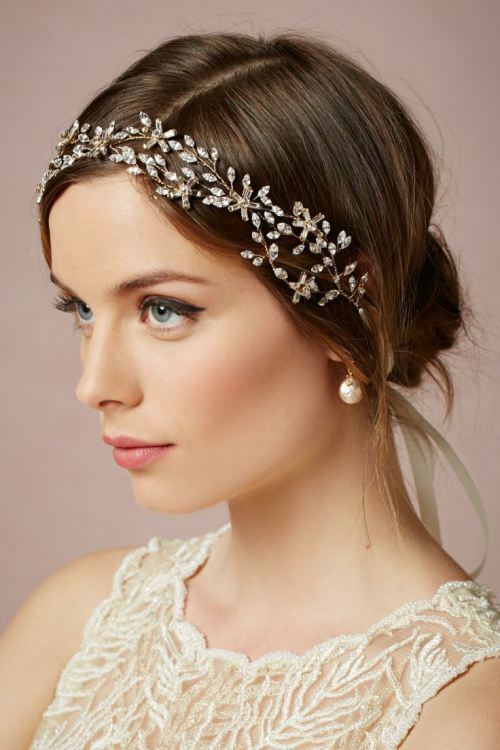 So do not hesitate to go to hairdresser and claim the most amazing hairstyles for wedding, cause a good hair pro will know what to do, especially with this guide of soft and tender medium wedding hairstyle 2015 below. 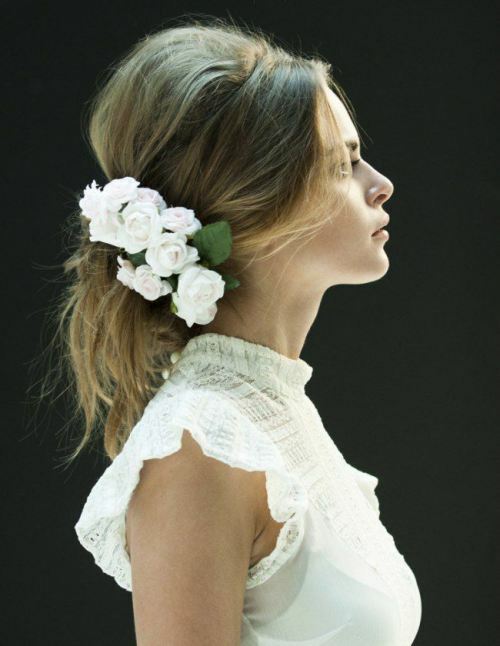 For a romantic looks and wedding somewhere on the seashore, all you need is to tighten you untidy hair, fix it in a ponytail and use flower hair accessories. I would advice to try natural flowers. Elegant wedding hairstyles 2015 European style wedding supposes much elegance and femininity, an image of modest but smart woman. 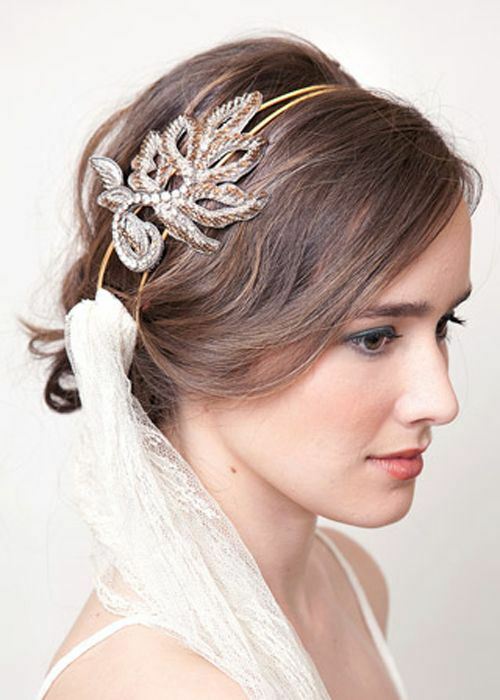 You can create it with modest dress and very plain hairstyle combine with jewel hair accessory. 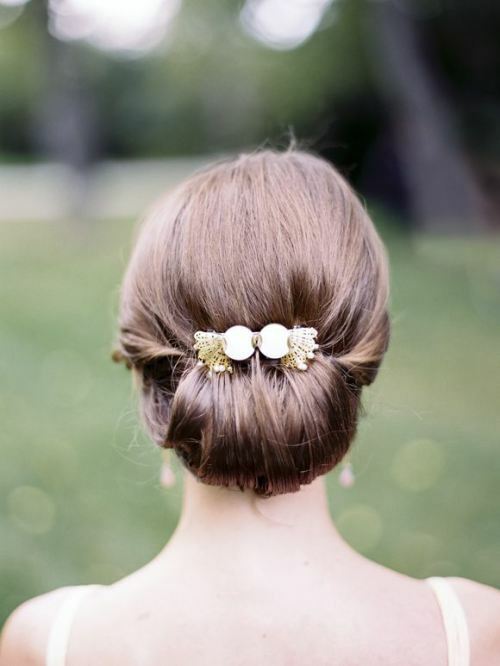 Adorable low bun wedding hairstyles 2015 Another example of how you can look amazing with simple cute hairstyles. The zest of the hair design is the hair piece so harmonious with her image. Greek updo wedding hairstyles 2015 If for your wedding you have chosen such a simple dress, then put much more in hairstyle and wear an exquisite Greek updo with headbands. 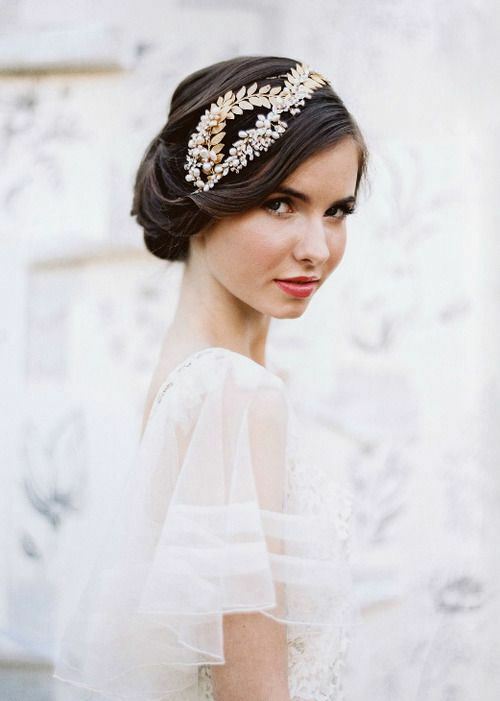 European wedding hairstyles 2015 Another wonderful image showing conservative style and elegance. 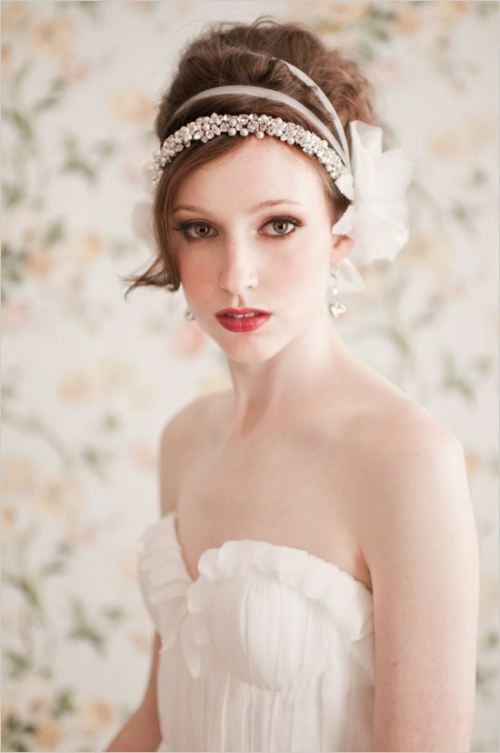 The neat looks, quite simple and modest dress are completed with crown hair accessory. Very impressive.